Kitchen Cabinets Paterson NJ – a deal you cannot resist! 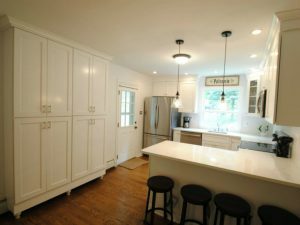 Conveniently located near Paterson NJ, we offer kitchen cabinets deals and countertop low prices that will finally make your kitchen remodel possible. 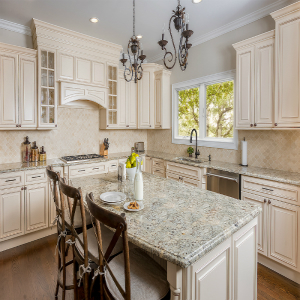 Homeowners, designers, and builders from Paterson NJ, stop by our kitchen cabinet store in Wayne NJ and find high-quality kitchen cabinets and countertops at a low price. Aqua Kitchen and Bath Design Center located near you provides the best kitchen cabinets from the most trusted cabinet manufacturers and brands. Find us at 1107 Rt 23 South and find Lowest Prices and Highest Quality on only 10 minutes drive from Paterson, NJ. The Best Kitchen cabinets Paterson NJ have never been easier to find! Get your dream kitchen at an affordable price, today. 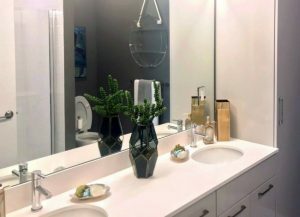 Aqua Kitchen and Bath Design Center team knows how vital for your project is to find great quality and affordable kitchen cabinets Paterson NJ. We will provide you with what you need! Expertise in the field, affordable prices, incomparable customer service and first-class product selection – this is what we provide because we LOVE what we do! It is always important for us to get feedback from our customers but it makes us so pleased when they give us great reviews. That means we provide them with just what they need – we make them happy. Please check what homeowners, designers, builders, and contractors say about us on Google, Facebook, Yelp, and Houzz below. To make sure you get the lowest price on Paterson cabinets, we will beat our competition kitchen cabinet price by 10% when you bring us a written estimate. Start with us and also get a free estimate and 3 D design. Don’t just imagine but actually see how will your kitchen remodel look like. Aqua Kitchen and Bath Design Center is located near Paterson NJ. We offer you monthly specials on a regular basis. Please check out our Monthly Specials and choose kitchen cabinets Paterson NJ and countertops from the best brands at the most affordable prices you can find in NJ. Take a short drive and visit our new, bright showroom conveniently located at only 10 minutes drive from Paterson NJ. We are here 6 days a week to greet you and show you our kitchen cabinet and countertop deals and discounts. Our expert team will provide you with any information you may need about the products or a designer advice. 12 months no interest financing on kitchen cabinets is one of the perks when buying with us which home depot in Paterson NJ doesn’t offer. 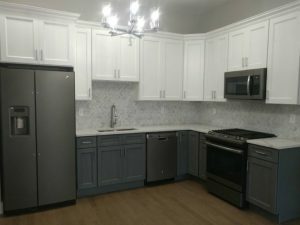 Whether you need unique granite or modern quartz, contemporary or traditional kitchen cabinets in Paterson NJ, we will give you the highest quality and the best brands available in NJ. Contact us today. Turn right onto Memorial Dr, continue straight onto Railroad Ave, and turn right onto Grand St. Turn left onto the ramp to I-80 W, keep right at the fork, follow signs for I-80 W/Del Water Gap, and merge onto I-80 W.
Merge onto I-80 W, take exit 53 to merge onto NJ-23 N toward Butler, and merge onto NJ-23 N.
Take the ramp onto US-202 S.
Wolf York White kitchen cabinets Paterson NJ will be great for your interiors if you like the timeless appeal of white. Bright, gentle-looking and modern, York White Cabinets are great for all-wood kitchen cabinet lovers in Paterson NJ. Major New Yorker is one of the most affordable kitchen designs of Paterson cabinets options. They come at a special price – 10×10 kitchen estimated price is only $1,499. A great opportunity to take care of your kitchen remodel for less! 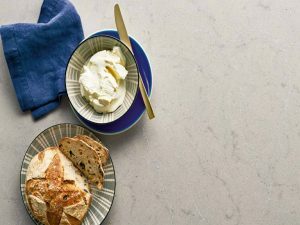 Caesarstone Georgian Bluffs Quartz has a gorgeous gray marble look inspired by the natural beauty. This durable man-made stone is perfect for your remodel projects in Paterson NJ. Stop by and we’ll provide free fabrication, edging, and installation. Giallo Fiorito Granite is a unique natural stone that will shine a new light on your kitchen space in Paterson NJ! 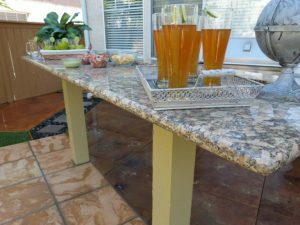 This yellow granite is bright with dark brown specs – almost mocha color. The wealth of hues and spots will make your home special. 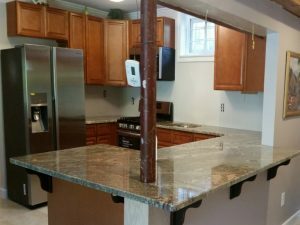 We’ve been to your neighborhood to install this lovely slab – Netuno Bordeaux Granite Countertop Installation in Paterson, NJ. Contact us if you would like to update your kitchen in Paterson NJ, too. We respond quickly to your requests and provide quick turnaround time. Granite is a one-of-a-kind natural stone that provides an interest and a unique sense of place to any kitchen. 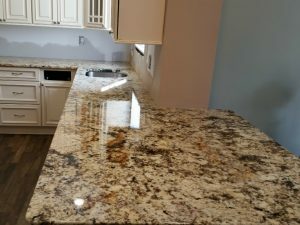 Contact us today if you’d like your countertop to look like the one we installed in the project Giallo Fiorito Granite Countertop Installation in Fair Lawn NJ. Your kitchen in Paterson NJ can look like just this one – Forevermark Cabinets and MSI Quartz Installation in Jersey City! We take on individual, large residential, and commercial projects! 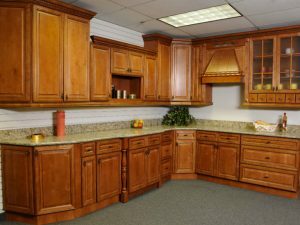 Kitchen cabinets Paterson NJ have never been easier to find at low prices and easier to install. Caesarstone Countertops Installation at Signature Place, Morris Plains NJ is our project where we equipped a contemporary residential place with Caesarstone Bianco Drift and Caesarstone Blizzard Quartz. Contact us today to get your kitchen updated with the material you want at a low price. Paterson NJ is New Jersey’s third largest city with the population of 149,222 according to the United States 2000 Census. It is estimated that over 150.000 people now live in Paterson NJ. Paterson is located in the Passaic County in New Jersey and it is its county seat. Well known as the “Silk City”, Paterson had the most important role during the later 19th century in silk production. Paterson NJ is known for its ethnical diversity as it presents a hub for many immigrants. When in Paterson, don’t miss to visit Passaic County Court House, Paterson Great Falls National Historic Park, Upper Raceway Park, Saddle River County Park, Allied Textile Printers, Lambert Castle, Paterson Museum, Dey Mansion, and William Paterson University. Have fun at the Ice Vault Arena, Paul’s Bar and Bowling, Westfield Garden State Plaza, and Hinchcliffe Stadium. Learn more about the city of Paterson NJ on the official site Paterson NJ, and on its Wikipedia page. When in Paterson NJ, you simply cannot miss Paterson Great Falls National Historic Park. You won’t resist the magnificent views at the waterfalls and you’ll enjoy every step of your tour. Rich with history and stories, this spot will make you take a lot of great pictures. Take a peek at the Paterson Great Falls. Kitchen Cabinets and Kitchen Countertops near Paterson, NJ. We price match and beat any written kitchen cabinets estimate.